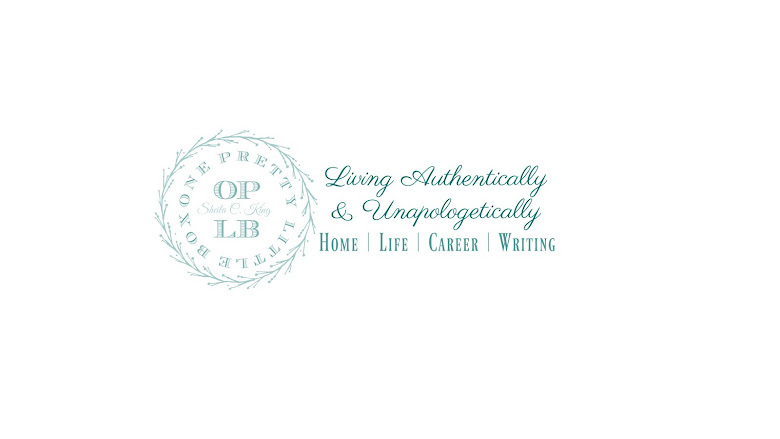 One Pretty Little Box: Be your OWN success story! Do you see that smile? That is a smile of a woman who is a dream maker! She is a goal setter, and an achiever. She has set a new pace for her life and realized that she really did it! She started out on her journey for the millionth time in April of 2008 and she has arrived now in October 2009. She is a weightloss success story! She is a work of art, and has a testimony to prove it. No, I have NOT reached my goal of 145 but do you want to know something? There is not a doubt in my mind that I will get there. It may take a few weeks, a month, several months, evey a year. But I know I will get there. I think the last week and a half have been an emotional speed bump for me, and I am finally over it. It was the longest speed bump that I had been on, and I realize that alot of it was mostly hormone induced, but I truly haven't felt that kind of devistation like I had felt since the beginning of my journey. I was heartbroken, and I felt defeated. I felt like my journey was coming to an end and that I should just give up. I can't give up because this is a lifestyle for me. So giving up is like saying all the hard work I have done was NOT worth it. It so was. And I love it. I love living a healthy life! I love loving life again. I love where I am in this journey of mine. If I truly was going to be "stuck" where I am now ~ I could so stay happy! I am my own inpsiration right now. I know that may sound narcissistic but for me, that is a miracle in itself. I have never looked at what I am doing as an inpiration to myself, but if I cant' inspire me ~ how can I truly inspire anyone else? It's kinda like if you can't love yourself, how can you show love? So, if you have really been reading my blog entries lately you will see that I have come full circle, once again I love that by sharing these struggles not only may it help someone else, but it helps me to see where I am, where I have come from, and where I am headed. It is intresting to probe into this thick skull of mine and see what is really hiding inside. There is this little me up there usually shoved to the corner with duck tape on her mouth! Luckily she is getting stronger everyday and that duck tape is coming off forever! I don't need to keep silent anymore. I don't need to accept the lies that the enemy tells me anymore. I am BEAUTIFUL and with the Power of God I have arrived! No more will I stay silent to please anyone. No more will I say something that isn't who I am about. I am not about failure, and it's not an option. Failure is when you give up. Not only do you give up on what you started, but you give up on a little bit of yourself. So sad..... and pretty pittiful if you ask me. But I have done that ~ over and over and over again. I almost did it again. I will be honest for a few minutes and say that GAG was almost shoved on to another blogger to take over, or it was going to be burried forever. I was in a deep dark sinkhole and for almost a minute I didn't care who I took with me. But I didn't. I pushed through my dissapointments, through the pain, and through the desperation. If I gave up on me, I would also be giving up on so many others. I could have given up giving up on the others ~ hey, I said I was being honest ~ but I couldn't have lived with giving up on myself one more time. Being around friends last night, who were so supportive of what I am going through mentally, and reassuring me of how far I have come, I realize... I am one lucky lady! I am so blessed! I couldn't be happier right now! My friends, my family, and even myself ~ we all accept me for who I am! NO matter what, I will never look at myself in the terrible way that I have been in the last week and a half. And to be honest, I took what the Lord has done through me, and took away a bit of that and treated it like it was trash. How sad. I mean let's give God the glory for what He has done, because without Him, I could do nothing!! And look! He has made me a butterfly! I was burried deep in a cocoon for so long I think I was just scared to come out and shake off those wings to dry so that I could fly. But now... I am ready! Moral of the story? Be your own success story! It is always motivational to read stories of how others have succeeded in their weightloss journies, but.... being able to sit back and realize you have one of your own is an amazing thing. If you are just starting on your journey, or you feel like you have a long way to go let me encourage you to not give up. IF you are in the mid point and it seems like life is mediocre, then get some fresh "juice" and step it up a notch or two. Whatever you do, realize that no one can do it for you, no one can make you do it, no one can carry you along on your journey. YOU have to do it. YOU are worth it! This goes along the lines of something I wrote over the weekend that I am saving to post when I hit my 50 lb milestone. Yay for freeing the inner Sheila and taking off the duct tape. Thanks for being the glue that holds GAG together and thanks for not giving up on it. Sheila, you are so awesome... I'm so happy that you are finally seeing the beauty that everyone else sees in you. Thanks for all you have done over the past 10 months to motivate and encourage each and every one of your blog followers. Not just in the Weight loss Challenges, but in sharing your life in general. You are truly admirable and I am honored to have gotten to know you through these blogs! May God continue to bless you. You ARE Beautiful! Never forget that! Aww... you totaly have come full circle!! Congrats girl! You're truly an inspiration to all of us and I appreciate you writing about your journey.